Now Operating Free Wifi From Our Depots! ETB Tyres are keeping customers connected with new Wi-Fi fitted in depots across the network. From catching up on a few work emails, watching the next episode of your favourite crime drama or simply leaving a review for your favourite ETB depot, visitors to any garage will be able to pass the time on fibre internet. 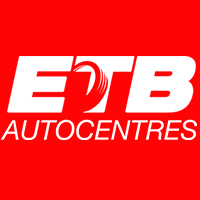 Visit your local ETB now and get tyres fitted in a flash whilst Facebooking, Mazda MOT'd whilst e-mailing or your Skoda serviced whilst Snapchatting!